Last week at Friendship Friday, I shared with you the 5 Fabulous Bloggers who took the time to leave the most comments on my blog in 2014. This week, I’d like to share the sites that referred the most visitors to my blog in 2014! Participating in blog parties like Friendship Friday that help you connect with other bloggers and grow your Social Media followers is a great way to grow your blog! 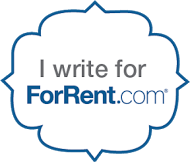 Supporting blogs that help us to connect with other bloggers and improve our craft is a top priority of ours. 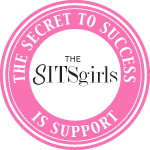 Kudos to our 5th Top Referral Site – the only Blog to make the list – the fabulous TheSITSGirls! Which sites refer the most traffic to your blog? Leave a comment – inquiring minds would love to know! This week we’re boosting our Pinterest accounts! If you’re not on Pinterest, why not open an account and join us this week? NOTE: This link-up is ONLY for Pinterest accounts! Thanks for the party and social media boost! Have a wonderful weekend! Thanks for hosting the link up. I can’t wait to find some new blogs and Pinterest boards to follow! Thanks so much for hosting! Most of my traffic comes from Pinterest and Google (Blogger). Good afternoon! Thanks for hosting the party. Have a great weekend! Wow..already many great posts! Thanks for a great party! You’ll have to share your tips on that one Lesley!